My first reaction to this story was annoyance that the journalist couldn’t get her facts right. But then as I read it I became more frustrated at yet another example of regulations that are purported to be important for conservation when they are really more about appeasing the anti-hunting lobby. I wish the journalist that wrote the piece had spent a little more effort questioning what she was told instead of just repeating what she was told. First, let’s get the facts straight. The article says that CITES regulations do not apply to hunting trophies, as they are considered “household and personal effects.” That is not quite the whole story. CITES Resolution Conf. 13.7 (Rev. CoP16) states: “They [Hunting trophies] will be exempted as personal effects if both the countries of import and export implement the personal and household effects exemption for the species and the specimen at the time of import, export or re-export was worn, carried or included in personal baggage. [Bolding mine]. In other words, if your hunting trophy is shipped to you after you return home, CITES applies. I guess some hunting trophies might be brought home in personal baggage. But in more than 10 years doing wildlife inspections, I never once saw that happen. Typically the item is processed by a taxidermist in-country and then shipped to the owner, or the hunting trophies are dried, dusted with preservative and insecticide, and shipped to the owner. In either case a CITES permit would be required. Secondly, as I understand it, the new EU Regulations will now require import permits for hunting trophies being imported into Europe as personal effects. Other types of hunting trophy imports into Europe already required European import permits. It is not, as suggested by the title of the story, a ban on the import of lion hunting trophies. A more accurate explanation is that the EU will be able to reject permit applications for lions hunted in those countries that are considered especially threatened. So apparently this regulation is particularly important to the conservation of West African lions. OK. That seems reasonable at first glance. But to what extent is trophy hunting a threat to lions in West Africa? I decided to check the CITES Trade Database to see just how rampant the export of lion hunting trophies is from West Africa. I searched for all exports of African lion hunting trophies exported to any EU country between 2008 and 2012. I got a total of 1697. Keep in mind that this does not translate to 1697 lions. Many of the exports were skins, some were skulls, and others didn’t specify. So in some cases there were two or more items exported as hunting trophies that came from the same animal. 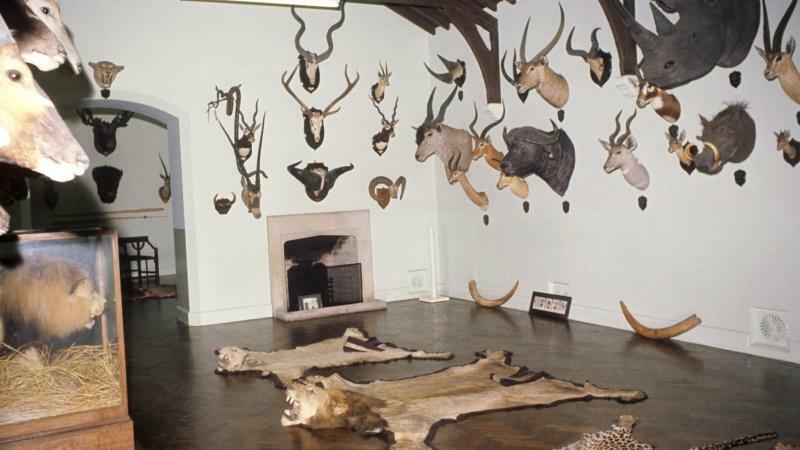 Of these 1697 lion hunting trophies, a grand total of 11 were exported out of West African countries. Of the 1060 that were exported from South Africa, 547 were listed as being from captive bred animals. How exactly is stopping the few lion trophies coming out of West Africa “a vitally important step for the conservation of lions?” African lions have been declining because of due to habitat loss, reduced availability of prey and especially, increased human-lion conflicts. Restricting trophy hunting does nothing to resolve those threats. If anything, sport hunting could be used as a tool to support the conservation of African lions. The other five species covered under the new regulations are the African elephant, southern white rhinoceros, hippopotamus, polar bear and argali sheep. None of these are endangered species, and none are threatened by trophy hunting. Including polar bears on this list is particularly silly, but I’ll save that discussion for another time. These new regulations seem to have much less to do with conservation and more to do with appeasing the anti-hunting lobby. So why not be honest and say so? Wrapping up regulations like these as important conservation measures is disingenuous at best. Worst still, promoting these new regulations may take pressure off decision makers to do something that would really support wildlife conservation. So the politicians and the groups that called for these new regulations can go back to their supporters and show how hard they are working to save lions and other beasts. The move has been welcomed by animal welfare activists, with Liberal MEP Catherine Bearder calling it “a vitally important step for the conservation of lions and other endangered species”. A survey revealed last year that, tragically, there are only about 400 lions left in the wild in west Africa. Up until now, the convention on international trade in endangered species of wild fauna and flora (Cites) listed lions as a protected species, whereby trade in lion parts was strictly regulated. However, these regulations do not apply to hunting trophies, as they are considered “household and personal effects” by the treaty. Bearder explained that “this derogation had allowed people to use the EU as a route for trading animal parts for use in quack medicines”. She added that “this glaring loophole had allowed the import of hunting trophies from lions which are on the brink of extinction”. Now, the commission is set to ban imports of lion hunting trophies into the EU from several west African countries, such as Burkina Faso and Benin. via EU set to ban lion hunting trophy imports | The Parliament Magazine.